During 2010, the Rotary Club of Fredericksburg formed the Fredericksburg Rotary Club Foundation: a non-profit corporation within the meaning of United States IRS Code 501(c)(3). A key goal of this Foundation is to utilize tax-exempt donations from Rotarians and friends of Rotary to grow an endowment fund whose principal will be held in perpetuity and whose earnings will be used to fund educational, charitable and benevolent needs in Gillespie County, Texas. The Foundation accepts donations that are either (a) donor-restricted to specific current local needs or (b) unrestricted for inclusion in the Foundation endowment fund to perpetually grow so endowment earnings can be utilized to fund scholarships and/or other local benevolent needs in the future. Foundation assets are conservatively managed by a Board of Directors advised by a committee of professional financial investors who donate their time and talents at no cost to the Foundation. The Foundation invites those wanting to lend financial support to donate online using the PayPal button below or mail personal checks payable to the Fredericksburg Rotary Club Foundation, PO Box 1006, Fredericksburg, TX 78624. 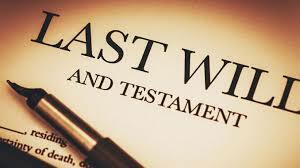 Please consider the Foundation as a beneficiary in your estate planning. For more information, please contact a member of the Foundation Board of Directors or the President of the Fredericksburg Rotary Club.